Drew showed the world that with the help of MySpace and great word of mouth, anyone with worthwhile work ethic and talent can start a monumental snowball effect towards success. After recording an EP by himself in his basement, NeverShoutNever! became an instant online success story, averaging over 40,000 online plays a day, and headlining shows throughout the Midwest. In early July, he was positioned in the top spot on the MySpace unsigned artist listing, and his first official release, the YIPPEE EP (July 29th), was followed up by a performance on TRL's "on your radar" segment the very next day. As of November 17, 2008, the official spelling of Ingle's alias became NeverShoutNever! It had previously been listed as Never Shout Never on iTunes and his management company's site. An official statement regarding the reason behind the spelling change has not been made available. In an interview, Ingle revealed that there is no longer an exclamation point after his name and that he will spell NeverShoutNever as one word when he is feeling happy, but three words when he isn't. Warner Bros. Records is spelling his name as "Never Shout Never" for the upcoming release. 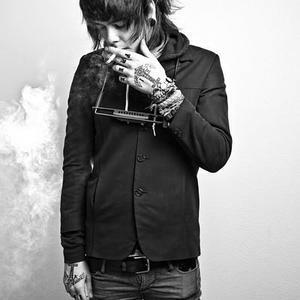 In October 2010, Christofer announced in an interview with Phoenix New Times that he would like to drop the name 'Never Shout Never' and become 'Christofer Drew and the Shout' because he is "sick of this band and the negative connotations with the band." He is also planning to switch from acoustic to more "feel-good rock-n-roll" music. * What Is Love? (January 26, 2010). * Never Shout Never - EP (December 8, 2009).